IT asset disposition is the weak link of information security. According to Gene Spafford, executive director of the Center for Education and Research in Information Assurance and Security, someone can steal retired computers without anyone knowing if there is a lack of security controls. Spafford correctly claims the solution is a process of “positive tracking” with one-to-one matches of serial numbers. You can’t know if something slipped through the cracks unless you reconcile inventories. Spafford estimated it takes about 100 hours per year of staff time to reconcile serial number receipts from recyclers. It doesn’t have to. Retire-IT knows that IT asset managers have more to do with their precious time than manually manipulate Excel spreadsheets to reconcile inventories. 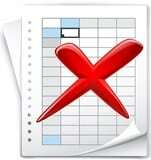 Spreadsheet reconciliation is time-consuming and tedious. Moreover, the results can be subjective and almost impossible for someone else to verify without redoing the entire exercise. For the reconciliation process to be reliable, it must be robust and repeatable, objective and unbiased. When organizations have staff do it, extra steps must be taken to ensure a separation of duties to avoid conflicts-of-interest. Organizations must make sure the fox can’t watch the henhouse. Spafford is right about the problem and the solution. However, he doesn’t have to be right about the time it takes. Retire-IT takes the time, hassle, and conflict-of-interest out of reconciling inventories. Retire-IT makes rules-based reconciliation easy. It also improves results. Save your staff 100 hours a year. Stop using spreadsheets. Start using the Retire-IT.